Hanley or Pablo: which hitter gains the most from Fenway? 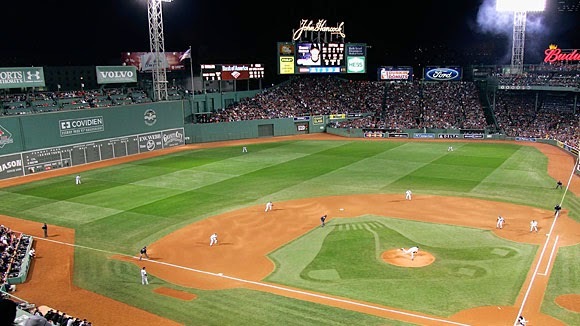 Fenway has always been known as a hitters' park. This was a major factor for both Hanley Ramirez and Pablo Sandoval as they were looking for a new team this winter. Ramirez and Sandoval exchange pitcher friendly home ballparks for a hitter's heaven. A 37'2" wall out in left field only 310 feet away, a corner out in right only 302 feet away, and limited foul ground compared to spacious NL West stadiums. 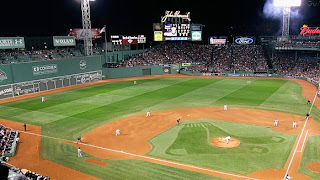 Playing 81 games in Fenway should bolster Ramirez's stats and Sandoval's as well. Both should love hitting at Fenway but, who gains the most from their new home? Once upon a time, a young heralded prospect named Hanley Ramirez was supposed to be the next big thing in Beantown. He was supposed to be the next great hitter to call Fenway his home. Ramirez did call Fenway his home. For one at bat in 2005. The next offseason, he was included in a trade that brought Josh Beckett to Boston. This time around, Ramirez will stay in Boston for the foreseeable future giving him plenty of at bats to do some damage in Fenway. Ramirez has some limited time at Fenway as a visitor. He is 5 for 23 in his career at Fenway, a measly .217 batting average. In his career, Ramirez has 125 homers and 164 doubles to left field. He is a very good all around hitter but most of his power comes when he is pulling the ball. This clearly bodes well for him as he should be able to take advantage of the wall in left. Should Hanley stay on the field, he has the ability to put up some big numbers in Boston. Unlike Ramirez, Pablo Sandoval has never played a game at Fenway Park so he will be adventuring into new territory this year. The case of Sandoval is not as cut and dry as Ramirez. Sandoval is a switch hitter who is at his best from the left side. He is a career .304 hitter as a lefty and is only a .270 hitter from the right side. From the left side, most of Sandoval homers have come to right field in his career as he has hit 53 to right field. However, he does have power to all fields from the left side. Sandoval has 17 homers to left and 18 to center. He also has hit 63 doubles to left, 44 to center, and 40 right. From the left side, Sandoval should fit nicely into Fenway as he has the ability to drive the ball the other way and does not solely rely on pulling it for power. As a right handed hitter, Sandoval's power purely comes from pulling the ball. He has 18 career homers from the right side and 17 of them have went to left field. 21 of his 45 career doubles as a righty have also gone out to left field. From the right side, Sandoval is a far worse hitter than he is as a lefty. This was never more evident than his splits indicated last year. Last season, Sandoval struggled mightily from the right side as he only hit .199 and lacked power. Overall, Hanley Ramirez has the most to gain from Fenway, although it is close. Ramirez has the slight edge as a righty, especially because his power is all to his pull side. Sandoval's numbers should go up as well. However, he primarily hits from the left side which means pulling homers will be tougher to do for Sandoval than it will be for Ramirez. Thoughts on who the park helps the most?